We are a small company and are looking at various options for payroll; I’ve heard that there is a way to do payroll manually in QuickBooks, but I can’t seem to find any information on how to turn on that feature, everything seems to indicate that we have to buy a payroll subscription and that just isn’t in our budget right now. Can you help? Thanks in advance. How to turn on and use the manual payroll option in QuickBooks certainly feels like a highly guarded secret. Intuit makes a lot of money selling payroll subscriptions and rightly so as keeping up with payroll tax laws and forms in each and every state is a lot of work! Even so, there are instances when a business chooses to have an outside payroll service do their payroll for them (maybe they get a break on their Worker’s Comp Insurance) or when a business only has one or two salaried employee on the payroll – but they still need to record payroll costs in QuickBooks for accurate job costing. Whatever reason a business has for not purchasing a QuickBooks Payroll subscription – sometimes they just need to be able to record actual paycheck transactions in QuickBooks manually. Make sure that payroll is turned on in your Preferences. From the Edit menu -> choose Preferences -> scroll to Payroll & Employees -> click on the Company Preferences tab. Select the Full Payroll option. Next go to the Help menu -> choose QuickBooks Help. In the Search box, type in manual payroll. Once the search results appears in the window, click on the topic with the title “Calculate payroll taxes manually (without a subscription to QuickBooks payroll)”. When this help topic displays, scroll down until you find the section titled “Set your company file to use the manual payroll calculations setting” and click on the link manual payroll calculations. 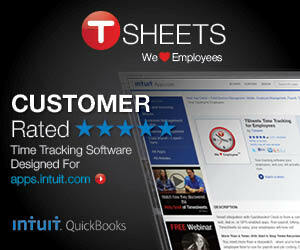 Once you click this link, you should see the following QuickBooks information window. This is the ONLY notification that you will receive indicating that manual payroll is now active in your QuickBooks file. If you go to the Lists menu and choose Payroll Item List, you’ll see that QuickBooks has set up some of the more basic payroll tax items for you – you’ll need to enter the rest of them yourself. At this point I would highly recommend that you go through the Payroll Setup Wizard – found from the Employees menu -> and choosing Payroll Setup. The Payroll Setup wizard walks you through seven (7) key pieces of payroll data. Follow the on-screen prompts to complete the setup. Set up Time tracking. If you wish to enter employee time against various jobs or projects and want that time (as well as wages) to appear in your job costing reports, you’ll need/want to enable time tracking. From the Edit menu -> choose Preferences -> scroll down to Time & Expenses -> click on the Company Preferences tab -> check/select the Yes option for Do you track time and set the first day of your work week. If you have had a QuickBooks payroll subscription and wish to cancel it – you would still run through the steps to setup/activate the manual payroll options by going through the Help menu. All of your current payroll items would still exist in your Payroll Item list and you would enter employee hours and then create paychecks as you always have – the only difference is that you would need to enter the correct amount of payroll tax withholdings. You will have to contact Intuit and cancel your current payroll subscription. There is no way to “enter” payroll tax table information in QuickBooks, so each week when you create the manual paychecks you’ll need to manually enter the taxes using information provided by your outside payroll service, paper tax tables, or from the use of a free paycheck calculator. I hope you find this article to be helpful, if so, please take a moment to leave a comment or share it on your favorite social media network. This should work in any desktop version of QuickBooks Pro, Premier, or Enterprise. HI , what version of quickbooks are you referring to in the instructions above? Stephen, I’m terribly sorry, these instructions only work with U.S. Desktop versions of QuickBooks. I have no idea how the Canadian version works. Jessica, glad I was able to help. Thank you, I have been struggling with this for days! Nancy, Thank you SOOO much for posting these instructions! I followed them step by step and voila! It worked, exactly as you explained. I really appreciated being able to use such clear and complete instructions, especially since I am not a QB expert. Thanks again. The instructions “should” be the same for Enterprise 12 – I’ll have to fire up my copy and see what’s different. I’m not certain I’ll get to it today but I will check. Hi Nancy. We use Enterprise Solutions 12.0 but the Search does not find anything to allow us to do manual payroll. Is there a way to setup E/S for manual payroll? Just opened my copy of QuickBooks 2013 and followed the instructions in an empty QB file that had no payroll and everything worked as documented. You have to follow the instructions carefully and click on the links within the help topics that are mentioned. Personally, I think it should be easier to turn on manual payroll all that searching/clicking is overkill. Do you know How To Turn On and Use Manual Payroll in QuickBooks 2013? I am not able to find it using the method mentioned above. Awesome Keith – glad I could be of assistance. I just had one of my contractor clients in Seattle who uses an outside payroll service but wants to be able to job cost in QuickBooks. Now I have an article to direct them to. It certainly is painful! Sort of reminds me of the “buried treasure” hunts I used to plan for my kids when they were little – search and search and dig (click) and dig (click) and dig (click again)! Thank you for documenting this process. Not often required, but when it is, it can be painful to figure out.